I NEED TO CONVERT AVI TO MP4 HOW CAN I DO THAT? I needed to trim and convert an AVI file to an MP4 file and I got really stuck. I got talking to a friend and he recommended Wondershare video converter. I downloaded the software and installed in on my PC in few minutes and I was ready to get started. The interface is user-friendly and easy to navigate. I followed just five simple steps to achieve what I wanted. 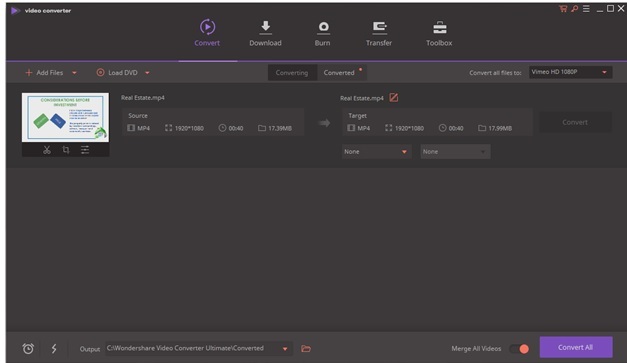 After launching the Wondershare video converter software, I imported the AVI video to be converted into the application environment. There are different ways to do this. You can either add files from your computer or from an external device. Because the file I wanted to convert was located on my computer hard disk, I selected the add files option under the add files menu and a dialogue box appeared. Learn more - How to convert MOV to MP3. In the dialogue box, I navigated to the AVI file I wanted to convert, then clicked open. The imported file now appears on the Wondershare video converter software. 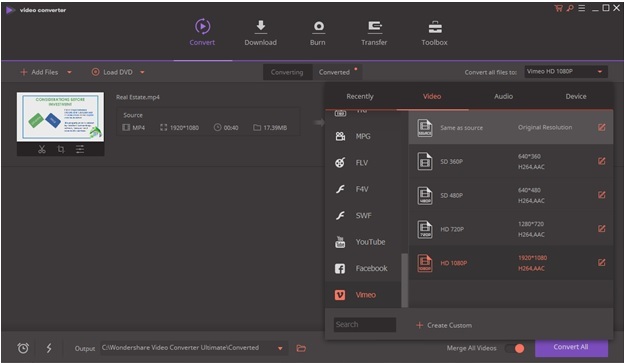 If you wish to import more than one file into Wondershare video converter, add as many files as you want to by repeating the steps above. Remember I said I needed to trim the video also. To achieve this, I used the trim tool. The whole idea behind this is to able to cut the video into different segments and then, delete the segments that you do not want. Using the slider tool on the video segments, I selected the part of the video where I wanted the trimming to start from and clicked ‘cut’ and then selected the part where I wanted the trimming to end and clicked ‘cut’ again. This divided my video into three different segments. Segment I, segment 2 and segment 3. The unwanted part of my video was segment 2. I selected this part and clicked ‘delete’. Then clicked the save button. With this, I was able to remove the unwanted part of the video and was left with just what I needed. In the ‘convert all files to’ menu, I selected the file format I wanted to convert the file to from the list of items provided. In my case, I selected MP4 option. After this, I selected the quality of the video and audio I wanted the file converted file to have and the device I wanted the converted file to be compatible with. Because I didn’t want to alter any of these, I selected the ‘same as source’ option. You could choose from any of the available options if an alteration is required. At the bottom of the page, I navigated to output and selected a location on my computer where I wanted the converted files to be saved. I changed this location to C:\Users\USER101\Desktop\Videos. Then clicked convert. Voila! My MP4 file was ready in few minutes. Wondershare Video Converter solved my problem. I did everything I wanted with just one application. 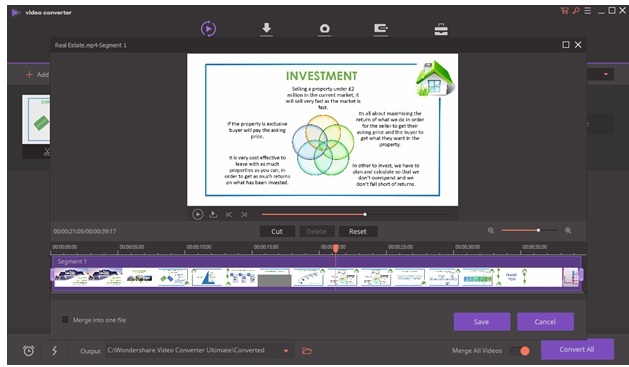 Wondershare Video Converter also has other useful functions like video editing, trimming and can also be used to add two or more videos together. I love it and I recommend it.